Ada pertanyaan untuk Hotel Villa Fontaine Tokyo-Kudanshita? Terletak di Akihabara, Hotel Villa Fontaine Tokyo-Kudanshita merupakan tempat yang sempurna untuk menikmati Tokyo dan sekitarnya. Dari sini, para tamu dapat menikmati akses mudah ke semua hal yang dimiliki oleh kota yang aktif ini. Karena lokasinya yang strategis, properti ini memiliki akses mudah ke destinasi yang wajib dikunjungi di kota ini. Setiap upaya dilakukan untuk membuat tamu merasa nyaman. Dalam hal ini, properti menyediakan pelayanan dan fasilitas yang terbaik. WiFi gratis di semua kamar, binatu (laundromat), layanan pos, resepsionis 24 jam, layanan binatu (laundry) merupakan fasilitas yang tersedia untuk memberikan kenyamanan kepada para tamu. Para tamu dapat memilih dari 144 kamar yang semuanya dilengkapi dengan suasana yang tenang dan harmonis. Properti ini menawarkan fasilitas fantastis, termasuk pijat, untuk membantu Anda bersantai setelah beraktivitas seharian di kota. Temukan perpaduan menarik dari pelayanan profesional dan sejumlah fasilitas yang ada di Hotel Villa Fontaine Tokyo-Kudanshita. Untuk kamar yang tidak disertai dengan layanan kebersihan, sikat gigi dan handuk disediakan di dalam tas yang digantung pada gagang pintu. Staff hotel bekerja sigap dalam urusan check in, lokasi tenang dan dekat dengan stasiun monorail, hotel sangat rapi dan bersih. We had a nice stay here. The rooms were small but not tiny, standard for big Asian cities. The facilities were clean and the water pressure was good. Staff were friendly. The location is a bit more of a local area so you’d have to take the subway/train towards more lively places for meals. Excellent hotel with many 24hr convenience stores nearby. There's also many izakaya and train stations nearby within walking distance (about 5 mins). Hotel is also located close to Tokyo Dome. In all, very strategic, clean, convenient and comfortable. 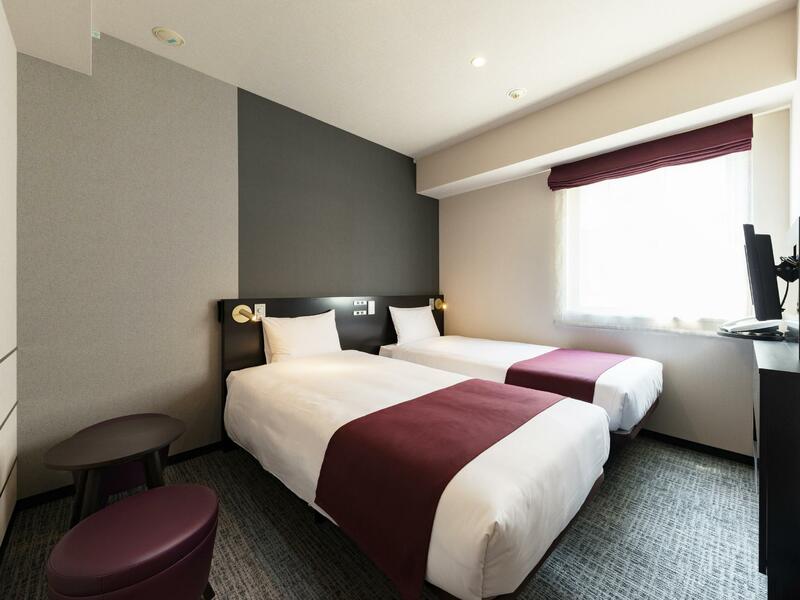 The hotel was very conveniently located in the area of Kudanshita and has plenty of eateries nearby from restaurants, fast food outlets, 24hr eating places to cafes, bakeries and even souvenior shops! 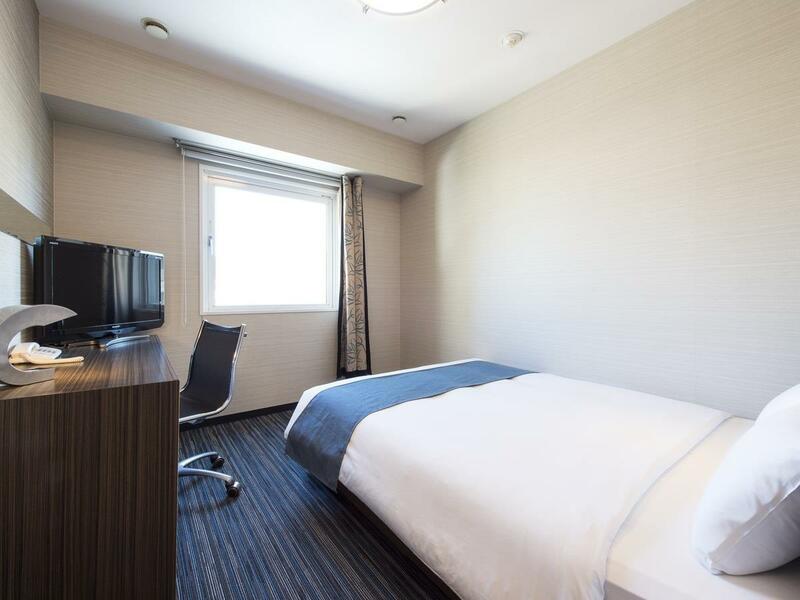 The hotel is also near subway stations like Kudanshita station and Jimbocho station which is less than a 10min walk away and can link you to many other lines that get you to the main areas of Shibuya, Shinjuku, Tokyo Tower etc. The hotel room itself is also really clean and well-kept. 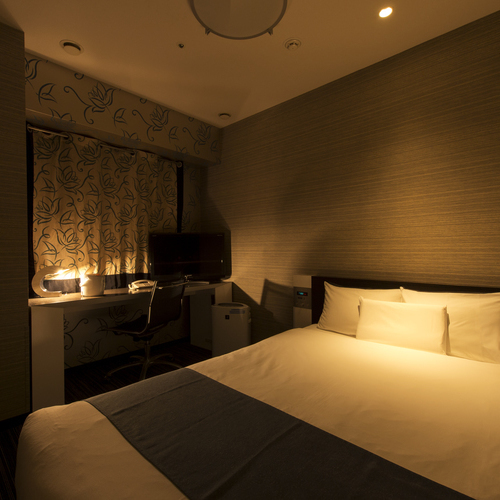 It is also considered to be slightly bigger compared to the other hotels in Tokyo which fall under a similar price range. So for this, I would personally rate the hotel to be really value for money and the convenience of its location to various eateries is also a definite plus point. My experience staying here for 4 nights was exceptional. The room is quiet, cosy and clean. Staff are wonderfully attentive and polite. Location wise is great as well, with subway station within walking distance and a 7-11 right opposite the hotel. Overall it’s a great and comfy place to stay after touring different parts of Tokyo for the whole day. 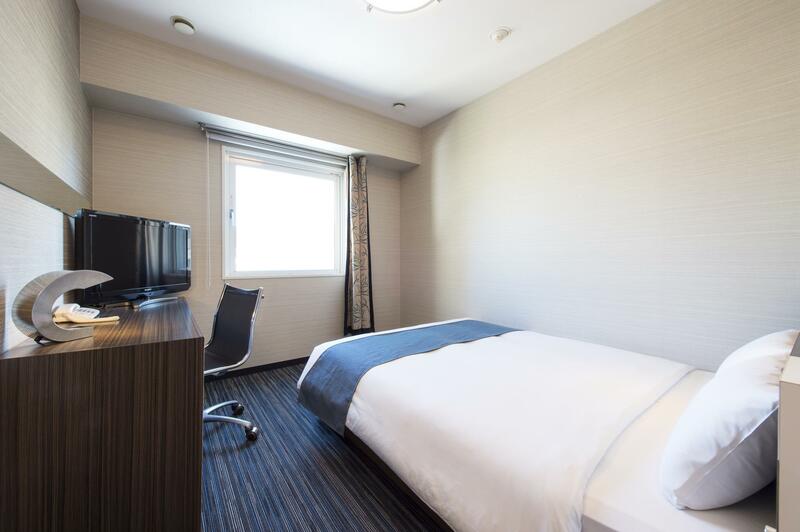 Very good location, nearby Tokyo Metro subway Jimbocho station with a lot of convenient store, super market and restaurants around hotel area. 7-11 is just in front of hotel .Staffs are very helpful and friendly. Room and restroom is very clean. I will stay here again for my next trip in Tokyo. staff was very hospitable, hotel had perfect location, breakfast was good. will stay here again. The hotel staff is very nice and the room is very clean and easy to access from the subway station just walk around 3 to 5 minute. Just 1 thing I don't like is the room sound proof is not good, can hear small sound from the neighboured but not the voice is just move the luggage or chair hit the wall can hear the sound. Overall is very nice will go back to this hotel if have a chance to Tokyo travel again. It's second time we stayed at this hotel. the location is great, only 5 minutes from Metro Jimbochoo Station. There is 711 across the hotel, and also lawson and family mart nearby. The staff are really helpful and willingly to accept our luggage that we sent from our kyoto hotel. Too bad that they will be no longer serving breakfast from July 2018. I always stay at this hotel every time i came to tokyo. It just a 5 minutes from Jimbochoo metro station, many convinient store nearby 711, lawson and family mart and also many restaurant. Too bad they will not serving the buffet breakfast anymore from July 2018. We enjoyed our stay here as this location is quiet & peaceful with a 7-11 opposite the hotel & mini supermarkets within 3 mins walk. Subway Jimbocho is a 3 mins walk which leads to key tourist areas like Shinjuku & Shibuya. JR station Suidobashi is a 6-7 mins walk that brings you to Akihabara in less than 3 JR stops or to Tokyo station for you to change to Shinkansen or Maihama station to disney land. Very convenient place to stay at and also provides paid Washer n Dryer. Will come back again. Me and my friend’s hotel got cancelled last minute ( a day before we travelled to Tokyo) and we found this hotel which was a good value for 4 nights, the hotel was better than expected, the room and the bed is definitely bigger than the pictures shown, the staff are really friendly and helpful, there are maps provided at the hotel to get around, there is a 7 eleven outside which is handy, the train station is about 5-10 minutes away and for the station for the JR rail to Tokyo Station is only 7 minutes away. Hotel is definitely better than thought and would highly go back there again!! location near jimbocho station, very clean n comfy room, staff very helpfull, value for the money, including buffet breakfast for only less than $57/night , we booked 9 rooms for 2 n 3 nights, all of us were very satisfied, excellent..
we are a group of 9 rooms, had stayed 2nights, and all of them were really satisfied , rooms very clean, quiet, n nice decor, staffs were nice n had a good english speaking, super value for money with buffet breakfast, just less then 10minutes walk to jimbocho station, really highly recommended . Excellent service and the staff is very helpful and went extra mile beyond their service. We really thankful and appreciate their help in our difficult time especially Ms. Saito and Ms. Akutsu in assisting us contacting the airline, etc due to emergency. 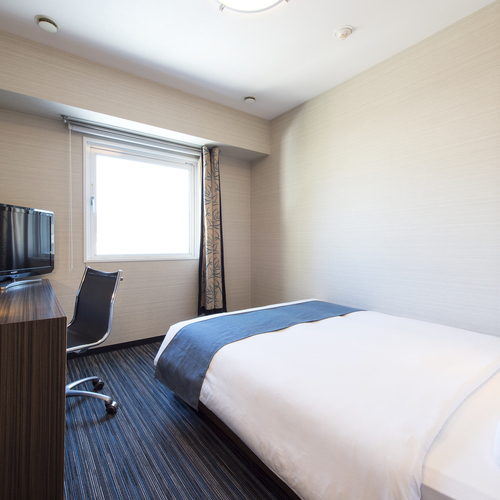 Hotel is located strategically near to Jimbocho station (easy access to other station) and 7-Eleven. There are many restaurants nearby as well as convenient stores. Breakfast is variety and change daily. Affordable price including breakfast. Highly recommend this hotel and will surely stay in this hotel again. It was still a nice stay in this hotel even though staffs look not like staffs of Nissin hotel in Osaka. the hotel is central,but little bit far from metro and JR station.the room is clean and comfort. it's a little far away from Shinjuku city center, you will have to take a Metro train (4 stations) for around 20 minutes to get there. But it's a good deal for its price since for the same price you will probably get a room that's less nice in shinjuku center. If you are not planning to stay out until after last train. It's not a bad area to stay. Tranquil and clean. Hip and modern. I enjoyed my stay a lot. and they have free breakfast too. I didnt get up early enough for it tho. Excellent service, clean mid-sized rooms, delicious breakfast, great location, superb value. We really enjoyed staying in this new hotel where service is excellent and the rooms are clean, well-equiped and mid-sized. Many of the front counter staff speak English and are very helpful. The breakfast spread is not wide but delicious. 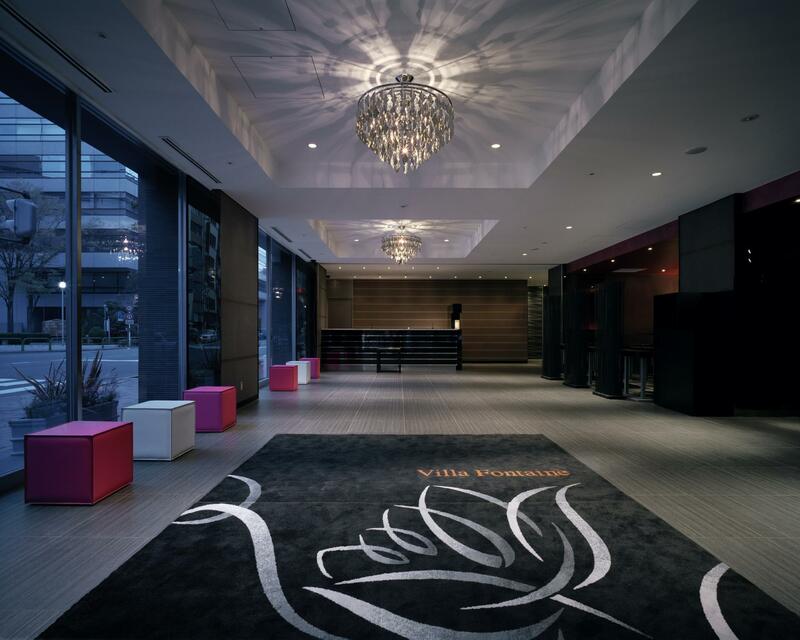 The interior is tastefully-designed and the linens are new and clean. Fast internet access in the room is free and the bathroom is quite big with a bathtub to relax in after a long day. It is 3 minutes away from Jimbocho metro station and 10 minutes from a Japan Rail station. There a several convenience stores and many small restaurants nearby. Great location and superb value for money. We will definitely stay there again and recommend all our friends to stay there.